To keep alive the Spirit of courage , bravery and love for the nation, The Delta Study celebrated Martyr's Day on 30th January,2019. The school paid tribute to Mahatma Gandhi and all the freedom fighters who sacrificed their lives for the nation. 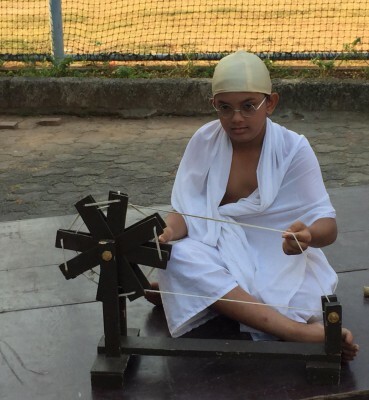 The children rendered the favourite bhajans of Mahatma Gandhi and enacted scenes from the life of Gandhiji. As a mark of respect a two minute silence was observed by the school at 11.00a m.